Many who come to the region of Costa Brava for holidays aren’t aware that there is a thriving wine scene waiting to be discovered that offers up no end of reasons to not buy some insipid bottle of cheap Rioja in a cheap beach supermarket. If you happen to want a little help to learn more about the local wines, buy the book or book a wine tour. If however you want to choose the self-study route, here are a few recommended wines to try. These are not wines that will blow your mind with profundity, depth, or “expression of the terroir”. 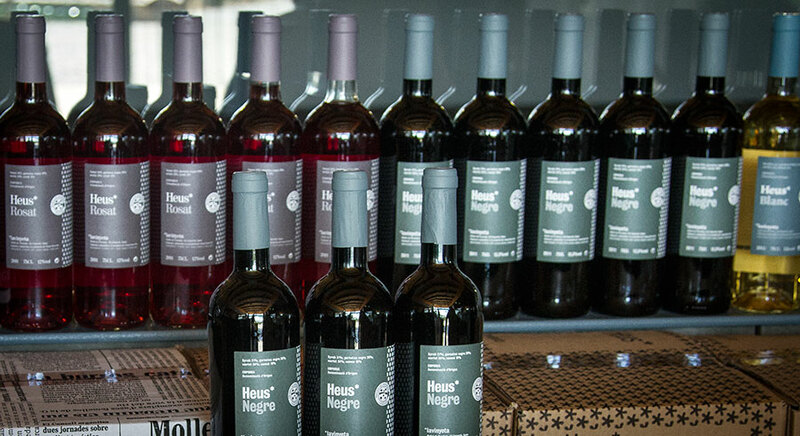 These are wines that show what Empordà does quite well in that it can produce very easy-to-drink wines that are light on the palate, great with food, and quite easy on your wallet. Of course, it’s also recommended to check out the higher-end offerings of La Vinyeta and Empordàlia as they’re two cellars with a lot to show from Alt Empordà. Aromas of cured cherries, cumin, forest herbs, orange peel. Light acidity and volume. Easy to drink and fresh. Notes of herbs, cut grass, lemon peel, and grapefruit in the nose. Light acidity and medium light body with a short finish. Slightly reductive red fruits with a touch of cumin and forest floor in the nose. Medium plus in the body with candied strawberries, a good brace of acidity and tannins albeit a short finish. Red fruit notes, touch of raspberry, light herbal notes, forest floor. Medium minus acidity and medium body with the vanilla notes more prevalent. Playful, jumps on the palate and easy to drink.